Everybody wants to live in a perfect built home that looks elegant and defines their personality. 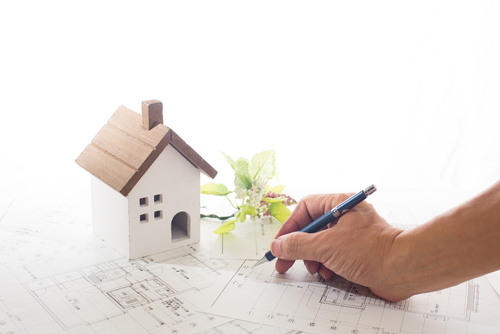 The issue comes when selecting your home design that will satisfy your preference. It's not a big deal; you only need to concentrate and look around to determine a brilliant home designing idea that will make you feel that you have the dream home that you wanted to dwell you and your family. There is always that awesome home designing idea that suits everybody; everyone has their taste. A good choice is to consider modern home designs that feature functional homes and here are some of the most amazing home design tips which will possibly make your dream home come true. An open floor design is always an excellent idea as it provides your home with an appeal of having a large occupational area. It turns the living area an entertainment parlor where one can move around without having to squeeze item. It is functional and can hold an event and make your family's life comfortable and also creates an inviting atmosphere where everybody feels at ease and in comfort. An open floor design would be appropriate for modern homes and even suitable for smaller homes as there a way you can come up with an appealing design to make your living entourage appear big thus providing a large space. This another effective home designing idea that you should check on. A cluttered home is never a good idea as it feels uncomfortable. You should get rid of all items not in use to relieve enough space. Incorporate your home with functional storage such as wardrobes for clothes, cupboards and exclusive shelves so that you can place every item in the order. A proper arrangement of home items make your home appealing and impressive to yourself, and even your guests will adore an organized home. This is another factor that determines your personality too. You can have the storage you want from butler's pantries to walk in robes. Most people adore contemporary home designs as it is the most popular design with modern homes. However, it is a good idea to build a classic home when you mix the design with some traditional touch. It will create a classic appeal that will not outdated for a long time. When you mix the two designs, it will give a sense of beautiful home you have never imagined for your family happiness. Adding some personal touches during the final touches will give you an opportunity to customize the design according to your needs. Some traditional touches help in maintaining your roots and creates a sense of psychological affection that you want to have and be a conservative personality. When coming up with an excellent home designing idea, you need to incorporate the idea of creating a good appearance that you will achieve by selecting the perfect fittings and fixtures that matches your home. Fixtures and fittings come in various designs that are available in your local store. You can choose from colored tiles for your floors, beautiful stainless steel sinks matching basins and lights that provide ample lighting to your home. Every single fitting such as door handles, cabinets, benchtops, appliances should be perfectly chosen to match your perfect home and lifestyle. When selecting your home designing idea, you need to work with your designer to make a perfect lighting solution. Make sure that the windows are located in the right position to allow adequate light to enter the rooms. Your living room should have ample lighting to reveal the natural beauty you have created by mixing the contemporary and traditional designs. To promote the idea of the natural light, you can choose electrical lighting that creates an excellent appearance when it illuminates on your items. You can blend some colored lighting for different moods and time where you can even create a beach theme in your room by complementing various lighting colors. Having the most spacious bathrooms is always one of the essential needs of any person. It makes you feel comfortable taking your showers whereby you can create a large space to have a spacious bathtub. Make sure you install the perfect bathroom fixtures which include appealing floor and wall tiles. 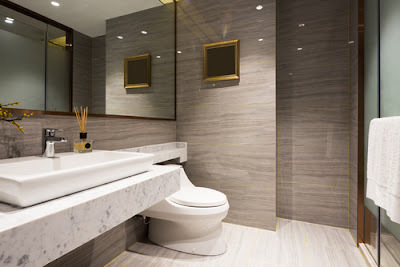 You also need to design enough storage for bathroom needs to ensure that there is no single item cluttered around that will make your bathroom create a senseless illusion. In fact, this should be the cleanest place so that you can always feel comfortable. An elegant home should be built from a perfectly chosen home design. Most people are always scared of the word luxury. You should not think beyond when it comes to luxurious items for your home. You don't have to spend a lot on these items. Many stores offer affordable items that you can choose from so that you can achieve a contemporary sense incorporating your home with unique ideas. A skilled designer will help you select the perfect fittings and fixtures that look luxurious. You can also add some antiques which will make your home appear elegant when you incorporate quality floors, high raised ceilings, and timeless fittings. For a perfect home designing solution, you should also consider the outer appearance of your home. There is need to choose a design that complements the environment around your home. Create a beautiful outside having cool shades with some beautiful trees. You need to view your home as beautiful as you want as you approach from a distance in your carb. Incorporate complementing colors and materials that bring a sense of cohesion and an impressive visual appearance around your home. If you can be able to follow up the above home designing ideas, then you will be able to have the home of your dream you ever wanted for all that time. Designing on your own is not easy especially if you are not an expert. This is the point where you involve professional designers. They are available in your area, and all you need is to make an appointment where you will be able to explain your wishes so that the architecture can incorporate your ideas when designing your home.